Rseding thinks that we have the least amount of bugs in the game we ever had. Mostly because of the automated reporting system and partly because of my pushing of everyone to fix everything before starting other tasks. The 0.16.35 (to be released soon) will be declared stable on Monday, if no critical problems are discovered. Mini tutorials (kovarex, Twinsen, Albert, wheybags). We would like to iteratively improve the quality of the tutorials based on our first attempts and cover the rest of the game mechanics by it. Improved First Steps campaign and new main campaign (v453000, Albert, wheybags, Ben). Gui rewrite. (Twinsen, kovarex, Dominik, Albert). It is both improving the looks of the GUI and changing the way it works. Some of the drafts were already published in FFF-212 and FFF-191. New graphics back-end, SDL, OpenGL, DX11, v-sync fix, texture streaming, VRAM usage optimizations, shaders (posila, HanziQ, sindri, wheybags). 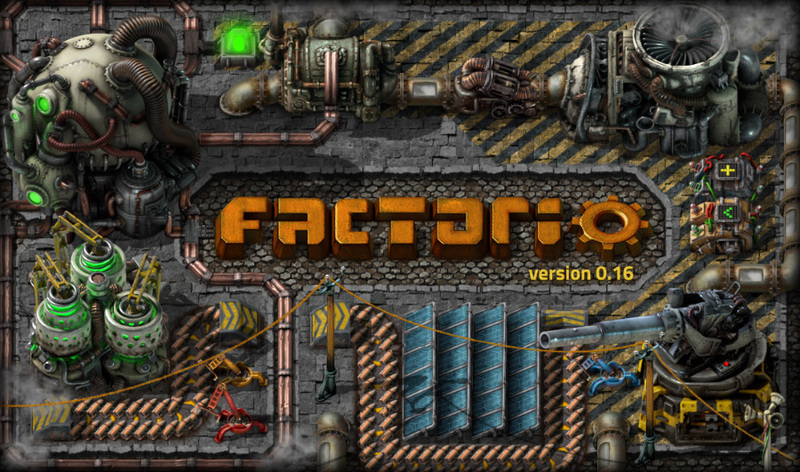 This should be the foundation of some kind of ingame factoriopedia. It should provide the player fast ways to get the answer to questions like: "what is this item used to?" and "What is the graph of recipe dependencies for this". Mod integration improvements (HanziQ, Rseding). Mainly extend the feature of syncing mods with save from save loading to multiplayer game joining, mod browsing improvements, which should at least show the mod picture and more smaller things. Map Editor improvements, both technical and usability wise (Rseding). Map generator improvements and fixes, autoplace specification improvements and documentation (TOGoS). High-Resolution sprites for the rest of the game, including few changes to some entities (GFX). Final game balancing (kovarex, v453000, Twinsen). Organised playtesting for the new GUI, campaigns and tutorials before release. 0.17 is a 1.0 candidate, but due to all the new rewrites (new GUI, new graphics, new tutorials, new campaigns), it is very likely that there will be unforeseen changes we need to do. So 0.18 should be a rather short release where we polish the GUI and campaign based on player feedback and also fix any final or long-standing bugs, possibly fix long-standing minor issues and once it becomes stable, it will be declared 1.0 once stabilized. In 0.16.31 we released a bug fix for a specific modded scenario that involved some heavy refactoring of game logic that checked if an item could be put into a given entity. Once 0.16.31 was live we started to get an unusual amount of crash reports inside the Furnace::canInsert(...) logic which made no sense. I thought maybe my fix somehow broke the furnace logic but I couldn't see how it was possible. I spent half an hour theorizing what might be happening but got nowhere. Then I decided to see if any of the other devs might have ideas. Still, we had no idea what could possibly cause it to crash where it was crashing. We finally decided to change our crash log uploading to include minidumps for this specific crash in hopes it would shed some light on the issue. Someone probably used something similar to Cheat Engine to cheat by modifying the program memory runtime. In fixing a bug, I refactored how Furnace::canInsert(...) operates enough that the executable now crashed in what ever the cheat engine script was doing. As we released new versions, the people using that script stopped using it because it was crashing their game, and so we stopped getting crash reports.